The 20X telephoto lens great for watching the game,concerts,tourism,observe animal lovers. The focusing ringon the phone lens makes you to adjust the focus by hand freely. By manual focusing, you can change the focuses of the image to make better effect. HTC, LG, Sony, Huawei, Google Nexus, most the phones & tablets with the camera eye is at the edge (the distance between the center of lens and shorter edge is less 20mm). UPGRADED TELESCOPE LENS: This 20x zoom telephoto lens provides more flexibility - it is easy to carry and store. You can take 20x telephoto lens with you at concerts, holidays, trips and sightseeing - your pictures will definitely be better, clearer and closer to reality with a telephoto zoom lens. 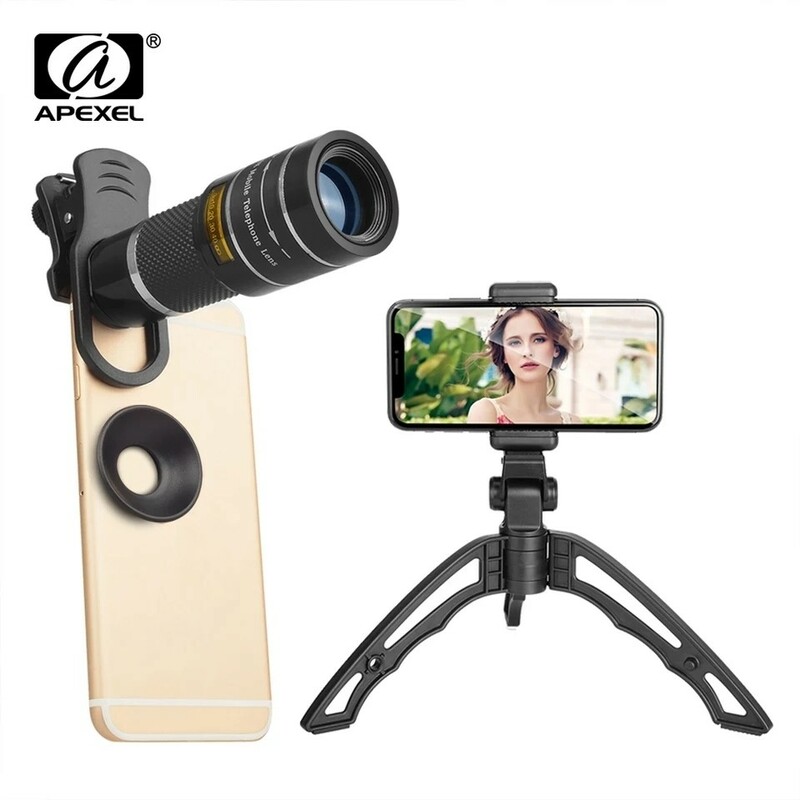 LONG DISTANCE SHOOT: This lens for cell phone offers you the possibility to overcome the shortage of your phone camera and enjoy a long distance shooting. Essential phone lens is amazing and you can also take advantage of its performance by taking many photos.